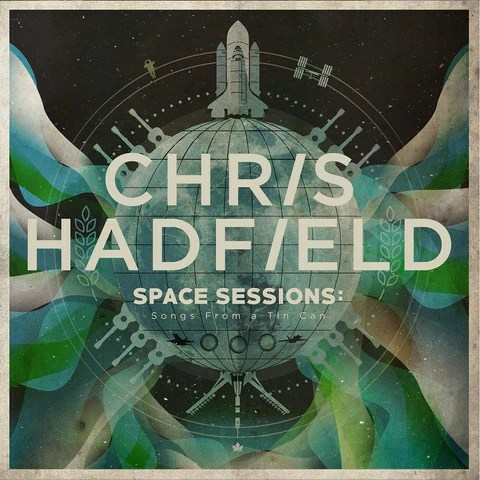 Like others coming home from OVFF (the Ohio Valley Filk Festival), I found find Chris Hadfield’s CD, Space Sessions: Songs from a Tin Can , waiting for me. My reactions are mixed. It has some very good songs on it, but it’s not the CD I expected. Then I tried using Firefox from a different account. (I have one account with administrative privileges, and another from which I do normal work.) That one didn’t show the problems either. This got me thinking about root certificate issues, but Firefox on the Mac stores its root certificate with the application, not the user information, so that wasn’t a variable. But then I thought about my profile and decided to create a new profile. Running Firefox with the new profile, I didn’t have the problem. This was a slight nuisance. I had to re-add my plugins, import my bookmarks, and “void my warranty” (a dumb joke that some managers take seriously) by changing about:config settings to my liking. Of course, I did this one step at a time and made sure I hadn’t broken anything. Now things are the way I like them again and nothing broke. I still don’t know what in my profile was causing trouble, but I’m posting this as a possible fix to some Firefox problems. I’ve got a new article on the FEE website, on why software patents are bad. Here are pictures from my excursion to Quedlinburg, about 20 kilometers from Wernigerode. Many of them are from a guided tour through Hell that I went on (conducted in German, and I was able to follow along! Yay!!). King Heinrich I was crowned here, so Quedlinburg claims to be the first capital of Germany. Other places do too. Here are a few pictures I took in Wernigerode, Germany, in late September and early October of 2015. Click on the pictures for a larger view. Why do Democrats support DMV voter registration? Under a new California law, people who get a driver’s license or state identification card will be automatically registered to vote. From what I’m seeing, Democrats are generally applauding it while Republicans are suspicious of it. The practical effects are bound to be similar to voter ID requirements. People who are eligible for IDs will be waved past a hurdle toward voting. People who don’t get an ID will have to register the old way, and this may become more difficult since it won’t be as routine in the future. The burden will fall most heavily on people who can’t afford cars or otherwise can’t get a driver’s license. They can still get the alternate ID, but those at the economic bottom may not bother. The same people might not be able to vote under an ID requirement, for similar reasons. Oddly, the people who support DMV registration generally oppose strong ID requirements, and vice versa. Shouldn’t the people who oppose making it harder for the poorest to vote also oppose making it disproportionately easy for the non-poor to vote? My best guess is that looking at the issues from the perspective of entitlement is what makes them appear opposite. Both DMV registration and absence of ID requirements make it possible for people to vote with the least amount of effort. I think the real concern in both cases is that people might have to expend some effort in order to vote and choose not to, not that ID requirements will skew elections. Posted in General. Tags: California, critical thinking, elections. Comments Off on Why do Democrats support DMV voter registration? Libertarians, myself included, are much better at pointing out wrongs than expressing appreciation for rights. There have been a lot of occasions when I’ve felt sad about lack of encouraging feedback for things I’ve done, and doubtless others often feel the same. This summer I got a box of greeting cards with art featuring cats from the Museum of Fine Arts. Since I rarely send personal communications on paper these days, it had just been sitting there. On my way home from vacation, I passed through Lebanon, NH, reminding me of the Kilton Library’s decision to stand up to Homeland Security intimidation and set up a Tor Network node. I wrote a short note on one of the cards, simply thanking them for their decision. Yesterday I learned that author James Sallis was forced to resign from Phoenix College rather than take a state-required loyalty oath. This reminded me of my own experience with Harvard, where I was put under pressure to agree to a “confidentiality policy” that included a blanket prohibition on reporting illegal activity. In my case my job wasn’t endangered, but I was told other employees were required to agree to it. I sent Sallis an e-mail thanking him for the integrity of his choice and got an appreciative reply. When people get encouragement for making the right choices they’re more likely to do it again, and that benefits me too.